The DELETE key is inevitably the designer’s best friend. In fact, as a designer in-remission, subtraction may be my last sound design skill. 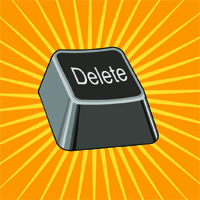 For business leaders, the equivalent of the DELETE key is deprioritization, and it is every bit as pivotal. The more senior a leader is, the greater the scale of comfortable patterns and group-think they are obliged to disrupt. The assumptions are you challenge or do away with today are what clears your team up for change tomorrow. In an overloaded world, where simplicity is the good manners of our age, the delete button is where change starts. Managers who endlessly add ambitions predictably spread their bets and teams too thin. Most of us know this failure pattern, which I’ve grinningly come to call the The More-On Syndrome. See if this sounds familiar. A tyranny of bright shiny objects and fire drills creates a transfixing shell of urgency. 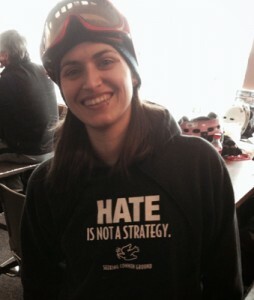 It makes strategic change or optimization unfathomable. In time, being too busy to change becomes a kind of engineered denial. Not all change is wise, but nearly all change is resisted. The shell of urgency is a tough headwind to add to that. Want to know why breaking this pattern so difficult? Deciding what not to do is a value judgement. Changes don’t always work, and at the start they’re almost never as popular as the status quo, which already exists and to some degree works. Machiavelli became famous assessing these forces. The rest of this post will focus on ways you can recruit others to define and drive process. Doing this adds their insight for making smarter changes, and it adds their support which cam be critical, because change happens through people. Too often, this fundamental approach is either unavailable or not used by teams setting strategic priorities. Such a gap is greater than just not having a play book, without a shared approach parts of organizations can end up playing in entirely different sports. This plan sets the stage to determine which customers matter most, or at all. It selects the products that should be invested in, or shuttered. Every piece of a firm’s value chain is there to pay off this plan. If there’s ambiguity in this strategic first principle, lining up for change is riskier. Without clear first principles, you could be left arguing over the equivalent of “the machine that goes Bing!“. Management rarely engages on tactics productively. Few things bring companies together like earnings, which are the gravity that keeps companies orbiting customers. The Kellogg school makes this kind of growth thinking the core to its brand. And yes, they even host a Growth Forum that brings two thousand business leaders together. I’ve been a fan of Professor Mohan Sawney since the late 90’s when I first met him at one of Kellogg’s Digital Frontiers conferences. He’s one of the folks behind the Growth Forum, and is co-author of Fewer Bigger Bolder which extends my case for focus and smart growth. There’s an additional set of hand holds you can use to help any business prioritize. Take an Outsite-In look at how connecting better with customers creates earnings. Organizations increase the value of their customer relationships in one of five predictable ways. This can help ground efforts in fundamental business goals, and to measure progress in a currency the full company recognizes as essential. Relationship progress is both forward looking and customer-centered than pipeline value or booked sales. Let’s just call this, Wieneke’s Customer Value Buckets. I’ll do a further post on ways to apply this. For now, give value bucketing a try and let me know what you think. Buying journeys are the customer’s and always live in the larger context of their lives. But the customer relationships are the company’s. To many firms, their relationships hold greater value than any material asset. The trust of patients, the partnership of investors, the dedication of your teams professionals are more essential to many business than any of the purchased goods accounting lovingly depreciates over their lifespan of years. Why not take stock of your relationships, and invest in the preferentially, just as you would between other business inputs? The Wharton School’s Peter Fader starts his thinking on customer relationships on this same idea: that all customers are not created equal. Indeed, some may be a tax, better carried by competitors. 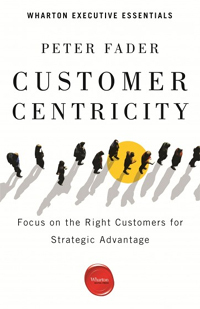 The ideas in his brief text Customer Centricity are the bridge I encourage my students at Rutgers to use to for encouraging other leaders to join them in more customer-centered efforts. In recent years, I’ve had the pleasure of working with leaders at Wharton, Kellogg, and other organizations that seek to spread their ideas digitally. These influence organizations have informed how my colleagues and I at Collective DX think about market strategy, and the part of that which customer experience represents. We all know that inertia never creates strategic clarity. And that creating the focus for change starts at the top. Grounding this with earnings and the customer interactions the drive this, is a pragmatic way to set priorities and get focus as with your organizations leaders lined-up for action.